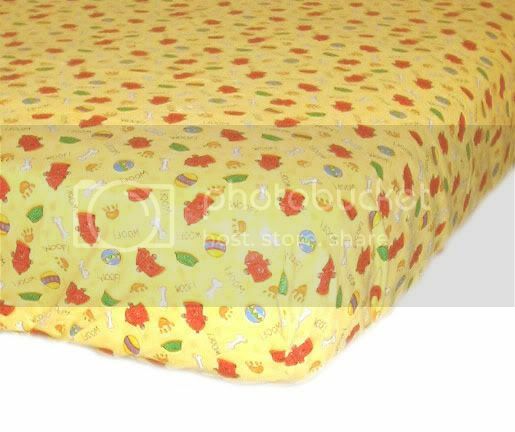 If you love yellow or dogs -- who doesn't -- you will love this fitted sheet. The material is a soft and warm cotton flannel. The crib sheet comes with a large 9 inch pocket depth to accommodate thicker mattresses. Contact us to order your custom crib fitted sheet.